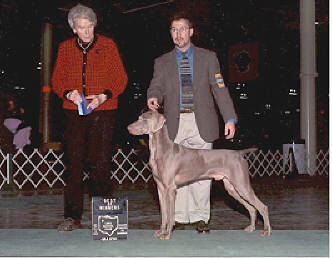 Cash was indeed a "Man for All Seasons": Winners' Dog at the 2002 National Specialty, he finished his Championship with a five-point and two four-point majors. 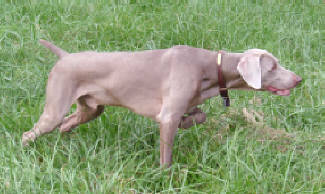 He was a kind, friendly dog who greeted clients and their pets in our boarding kennel and was employed there as "Playground Monitor". 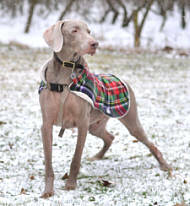 A well-mannered gentleman, he was an active Therapy Dog and a driven hunting companion with style and stamina. 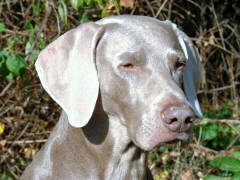 Cash is Moe's and Curlee's sire. Meet more of Cash's get !